Shedding and dry skin in dogs and cats is a constant problem for many pets and their owners. All pets shed at least a little, even hypoallergenic breeds, but here are some tips to limit the amount. Too much bathing can be bad for your pet’s skin and encourage shedding. Keep baths down to once a month. Make sure you are using a dog shampoo or cat shampoo that is made specifically for dogs or cats. Human shampoos are a different pH and can dry out your pet’s skin further. They also can contain dyes and perfumes that could cause irritation in sensitive pets. Did you know stress can show up in your dog or cat as increased shedding? 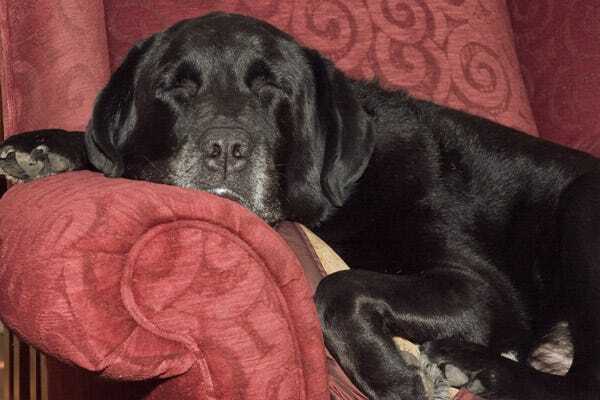 If you are all of a sudden seeing more of your pet than usual on the carpet and furniture, you may want to look into ways you can relieve stress for your pet at home. Pet have dry skin? Use a pet conditioner after shampooing. Make sure to let the conditioner sit on your pet’s coat for a few minutes to absorb into the skin. Look for natural shampoos and conditioners, like the Organic Oscar line. Harsh chemicals or dyes found in conventional bathing products can further dry out skin. Controlling shed hair in your house can be an ongoing problem. Find pet beds in washable fabrics so that you can regularly pop them in the washer and dryer. Use furniture slipcovers or blankets and seat covers for trips in the car. Shedding problem? 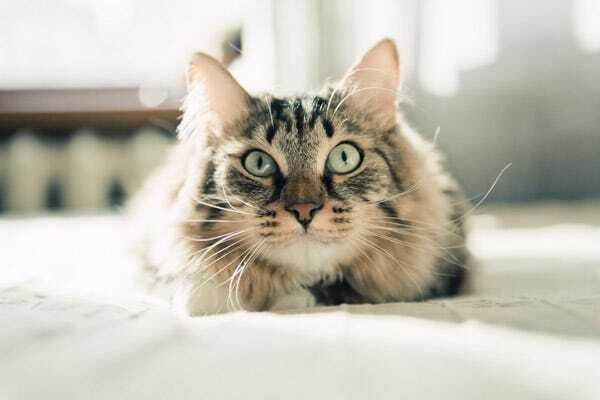 A good quality cat or dog brush can decrease the amount of time you spend brushing and reduce pet shedding. Cats and dogs both go through periods of increased shedding, and it’s not just in the spring and fall. A sudden increase in shed hair can just be a part of your pet’s normal hair cycling. No need to raise concern unless the time frame it lasts longer than a few weeks. Just increase your pet’s grooming and brushing at this time. Poor diet can contribute to your pet’s shedding and dry skin. If you’ve tried other solutions to your pet’s shedding problem, try upgrading to a whole, natural pet food. Adding essential fatty acids or a skin conditioner like coconut oil to your pet’s food can moisturize the skin and coat and reduce shedding. Does your pet have hot spots along with her dry skin? These painful, dry patches are characterized by red, raised bumps on the surface of the skin. Your pet may also bite or lick them excessively. Hot spots can be a sign of environmental or food allergies. For immediate relief, seek out hot spot sprays or ointments, such as Vet's Best Hot Spot Spray. Don’t enjoy pet shedding? While all dogs and cats shed somewhat, some shed a lot less than others. Short hair is usually less noticeable when shed than long hair. Consider a hypoallergenic breed or crossbreed of dog, such as Cairn Terrier, Cockapoo, Labradoodle, Lhasa Apso, Miniature Poodle, Shih-Tzu, West Highland White Terrier, or Yorkshire Terrier, to name a few. 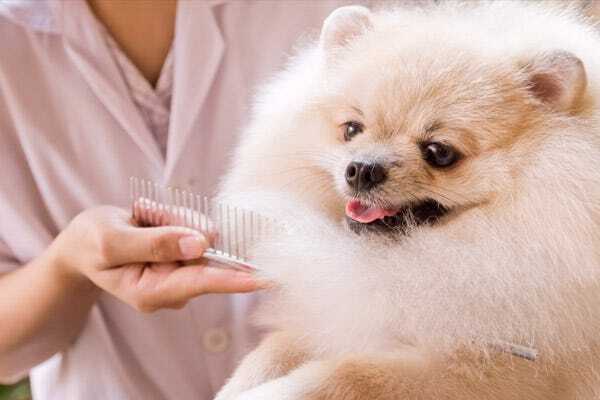 Daily brushing with a quality dog brush or cat brush reduces shed hair in the house. After a week or two, you may be able to reduce to brushing to a few times a week. Shedding can be a sign of pet anxiety. If you’ve ruled out other causes, a natural dog anxiety solution such as Holistic Blend Herbal Calmer may be helpful for your dog or cat’s shedding problem. Using the right pet brush can make sure you are getting all the shed hair you can from your pet. Undercoat rakes, slicker brushes, rubber brushes, and shedding blades are just a few of the different tools you can use to reduce shed pet hair in your house. Cat and dog vitamin supplements can fill in the gaps in your pet’s diet that could be causing dry skin, shedding, and other health conditions. If your dog or cat has food allergies, make sure you are also checking their treats. Treats can have ingredients you may not have expected hidden in the list. Whole foods and natural treats make better choices than cheaper mass market treats available at your grocery store. These low quality treats often include high allergen ingredients such as corn, wheat, and soy. Pets can have environmental and seasonal allergies just like we do. Detergents, cleaning supplies, parasites, seasonal allergens, and foods could be causing your pet’s dry skin. If your pet needs a refresher, but you don’t want to bathe her and potentially worsen her dry skin, there is an alternative. Waterless dog and cat shampoos and wipes, such as Organic Oscar Pet Wipes, can keep pets clean and fresh in between regular baths. Pet boots are not just a fashion trend. Dog boots keep paws dry and protect the foot pads from road chemicals and weather conditions that can cause irritation, dry skin, and painful splits. Tried all of these solutions for your pet’s dry skin and shedding? If you still have concerns or if your pet is showing other odd symptoms, bring it up at your next vet check-up. Dry skin and excessive shedding are signs of physical stress and can be a symptom of many conditions.